At Legacy Dental, we want to help each patient create their best smile. For patients who would like a whiter smile, our dental team is proud to offer Zoom!® Teeth Whitening. Zoom Teeth Whitening is the perfect in-office professional whitening treatment for patients who want noticeably whiter teeth in only 30-45 minutes. Call our office to schedule your appointment today! 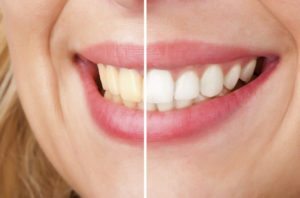 How Does Zoom!® Teeth Whitening Work? The Zoom!® Teeth Whitening process is comfortable and simple. If you’re an ideal candidate for Zoom!® Teeth Whitening, our dental team will apply the Zoom!® whitening gel to your teeth, then activate it with a specially-designed light. Most patient’s teeth become at least 6-10 shades whiter during this process! In most cases, teeth can get even whiter 2-3 days following the Zoom!® Whitening procedure. Is Zoom!® Teeth Whitening Right For Me? One of the best features of Zoom!® Teeth Whitening is that it only takes a little over an hour! Zoom!® Teeth Whitening can be ideal for any patient who wants a whiter smile in a short period of time. There’s no need to wear trays or deal with messy gels to gradually whiten your smile. The convenience of Zoom!® Teeth Whitening makes it the simple choice for many of our dental patients! Schedule Your Whitening Consultation With Legacy Dental Today! If you have question about Zoom!® Teeth Whitening, tooth pain, or any other of the dental services we offer at Legacy Dental, give our office a call. A consultation with our dental team is the perfect way to answer all of your questions and determine if Zoom!® Teeth Whitening could be the best solution for your smile!